Not even a twist could help this evicted houseguest. There's luck and then there's meant to be. A few week ago two weeks ago when Aneal was evicted, a special viewer vote granted one nominated the chance to be removed from the block. This houseguest received a reprieve but two weeks later, she's now walking out the front door. 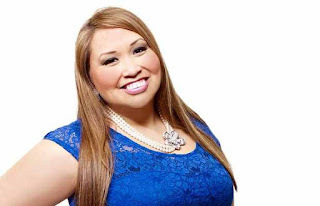 The sixth person evicted from the game is Suzette Amaya, the 36 year old radio host from Vancouver. Suzette is the outspoken and opinionated floater who became the first Head of Household (HOH) in Big Brother Canada history. Suzette nominated Tom and Emmett for eviction but once Tom won Power of Veto (POV), she nominated Kat as a replacement nominee based on personal reasons. Suzette played a relatively low-key game when it came to strategy; so much so she fell into a floater pattern with allies Gary and Danielle. In week three, Tom made it his personal mission to have Suzette evicted and almost reached his goal until Canada decided to remove her from the block - Tom was forced to place Aneal as a replacement. In week five, Alec nominated AJ and Suzette for eviction with the house deciding that it was her time to go. On Day 36, Suzette was evicted by a vote of 6-1. Usually the floater strategy is perfect for playing in the background and behind the scenes. The problem that Suzette faced was that her loud and opinionated nature made her an easy target when it came to evicting a floater. Her tumultuous relationship with Tom didn't help her standing but it was the alliances (or lack thereof) that sealed Suzette's fate. Relationships and deals were being struck between many different players and her friendship with Gary was the biggest alliance she had left. The house couldn't evicted Gary and removing Suzette made it an easier option to take someone out that wasn't directly connected to the main alliances still left. Suzette didn't have many trump cards or assets she could use; frankly her only power was the HOH in the first week. Her only recourse was to build friendships and cement alliances but yet she took people at face value, accepting their friendships as security while ignoring the game portion. She needed talk strategy and prove that keeping her around would be a better option compared to the other houseguests. Suzette is a personality, not a competitor. Her athletic presence didn't impact the course of the game, but her animosity towards Tom shaped the first third of the season that resulted in a powerful core alliance fracturing in three weeks. Could she have won? No, I don't believe she would have won Big Brother Canada had she stayed in. Floaters can win and some have - I just don't think she would be one of them. Her hilarious manner and interaction with Gary was missed but once she left, the season became more strategic and competitive. Her eviction sparked a change and I'm happy that it started something new.